As the year winds down, it’s the perfect opportunity to get super organized. I’ve been in full-on organization mode all this week, cleaning out random junk that’s piled up around the office and once that’s done, I’m moving onto cleaning up our digital files — because let’s face it — when you’re in the midst of juggling multiple client projects and tight year-end deadlines, things can get messy. Fast. 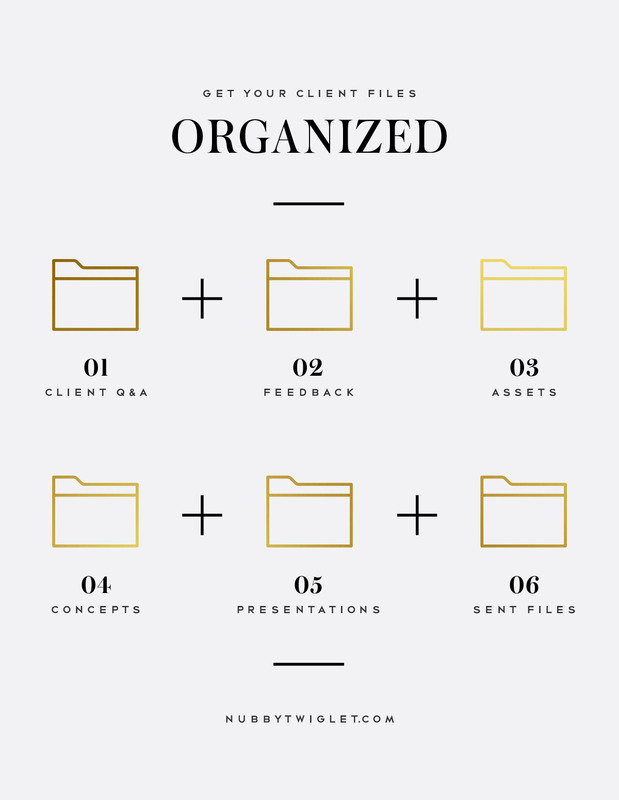 When you launch your freelance business, chances are that it’s just you and therefore….who cares if your files are a little messy? Who cares if your desktop looks like a bomb went off? Who cares if your files are named with some variation of “Untitled” every single time? Things start to change very quickly as your business grows. The second you have more than a handful of open projects, these messes can compound big time. When I started freelancing in college, I had one big folder on my desktop of client projects (please tell me I wasn’t the only one). I knew that what I needed at any given time was in there. And as you can guess, it evolved into a hot mess that involved plenty of late night tears. I finally got my system together when I started designing professionally and working at larger studios. File organization suddenly became super important because we were all working from the same sets of client files on the same server. If one of us saved a file under a random name or dropped it into the wrong job folder, it really impacted our deadline. There’s nothing more frustrating than trying to sort through someone else’s mess, especially when a project is due. When I started Branch, it was such a breath of fresh air. All my old messes were safely saved to an external hard drive and I had a digital rebirth of sorts with a fresh install on my computer. Sweet relief. For instance, a new issue of Rock n Roll Bride Magazine might be named BRNCH_256_ROCKNROLLBRIDE_MAG_ISSUE_6. Before we begin the design process, we have new clients fill out a questionnaire. This reminds us of what the client is hoping to achieve with their business and how our design solutions can best help them. We like to keep it in this easy-to-find spot as we move along with their project. Whenever a client sends us feedback, we save it down into a text document and file it in this folder. That way, whoever picks up the project is aware of what the client specifically asked for. 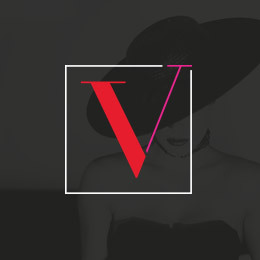 In this folder, we store fonts as well as visual research, stock photos and related assets. This is where we save our rounds of work. Each round gets a subfolder inside of here (example: R1, R2 and R3) so we can quickly backtrack and make design updates if they’re referencing multiple rounds during feedback (for example, they loved the branding option of direction 1 in R1 and would like to combine it with direction 1 in R2). We save all of our presentations in here inside labeled subfolders (example: R1, R2 and R3). There’s always a working InDesign file for each round as well as a web-ready PDF to send off via email. This is the place to keep all of your clean, completed files. Once a client has signed off on final concepts, we save all of the assets we’ve sent them into this folder so if they ever need any changes, we aren’t digging through old rounds of work. That’s it! 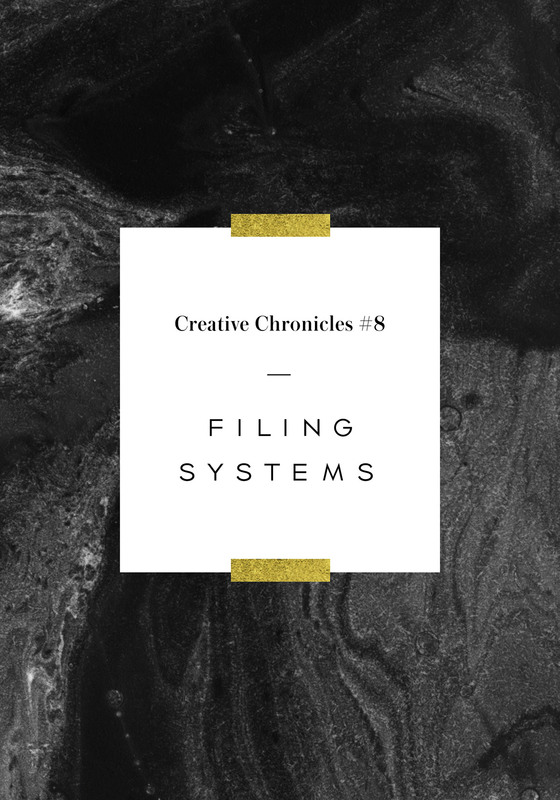 It’s a pretty basic setup and you may feel the need to tweak it, adding and taking away folders to make the system work for your business. I can’t tell you how much time has been saved by having this system in place over the last few years. 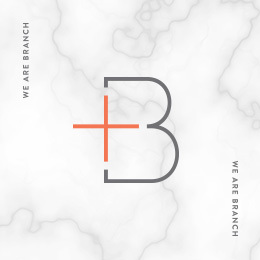 As Branch has grown, the number of completed projects on our server has ballooned to a few hundred. When a client emails us asking for a specific file, if this system wasn’t in place, it could literally take hours to find what they need. When you’re running a business, time is money. And, customer service is super important — the sooner you find that client file, the happier they’ll be. I hope this system helps you get organized for the new year! Thanks so much for sharing this Shauna! It’s always great to see how the pro’s organize and get stuff done, so thanks for the sneak peek. 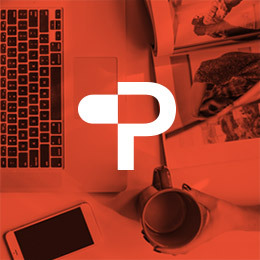 Going into the new year, my aim is to start my new freelance design business, and implement tips I’ve learned, especially on staying organized and on task when it comes to client work. As a new entrepreneur I really need this! Thanks so much. Please keep sharing your strategies and structures; organization and planning are so important and it’s difficult to find useful and honest tips. Wow! Thank you so much for sharing this. I have been working on fleshing out my own system but this is so helpful, I won’t have to start from scratch! Love this! I still feel like I may end up with the situation of ‘final’ ‘final1′ finalfinal’ ‘FINAL’ haha!